Matt is currently at Queen's University in Ontario, Canada. "All the best experiences I've had at school so far have been in my involvement outside of class. From competing in inner tube water polo to joining a club for impact investing, I've realized how important it is to take initiative and put yourself out there. During my first week at Queen's, all the freshmen in my program (or frosh as they say up here) were interviewing for positions on the Queen's Commerce Society. I had never done a real interview before, however, decided I had nothing to lose, suited up, and took my shot. I ended up being offered a position on Queen's Social Investment Initiative which has undoubtedly been one of the highlights of my year. Being part of the club has exposed me to an industry I had no idea existed and aligns very closely with my personal values. My transition to University was much smoother than I expected due to the vast differentiation of environments compared to Green Meadow. Tons of people go to Queen's knowing people beforehand and I was skeptical I would find a good group of friends. After being here for about an hour, however, all those worries vanished. Everyone is just here to get a good education and have 'the best 4 years of their life,' and I now find myself living on a floor with 30 people I can't imagine living without. One thing Green Meadow helped me with greatly, which has benefitted me countless times already, is the school's emphasis on public speaking. Doing a 15-minute presentation in Rose Hall gave me confidence in my speaking abilities, which I have utilized competing in case competitions and presenting in front of my current class. After leaving Green Meadow I felt more than ready to see what the world had in store for me and on what path my independence would lead me. Green Meadow prepared me incredibly well for the mental side of the transition, and I gained the skills necessary at Green Meadow to push through and teach myself in the areas where my background is lacking. All things considered, no high school has the ability to fully prepare students for the next chapter in their life, however, Green Meadow did exceptionally well preparing me for the mental transition." Today, in the third installment of this blog series, we'd like to introduce you to Maureen Satriano, GMWS Class of 1988, whose twin daughters are in Daniel's first grade class. Maureen also has two older children in the school, serves as our school nurse, and has played many roles at GMWS since graduating. "One of the best parts of my time at Green Meadow was learning to look at everything from many angles. I feel it has given me a perspective in life that is sometimes challenging for others, and for me too. But most of the time I find myself thinking about an event, an experience, or a person, and trying to understand, or at least consider it from someone else's perspective. There were many outstanding aspects of a Waldorf Education that I am passionate about, but trying to figure something out in many different ways, or imagining what it must be like for someone else, stands out as a valuable tool to have in our modern times. I chose Green Meadow because I wanted a Waldorf Education for my children. There was no other choice, in my mind. I want my children to experience learning in color, warmth of teachers and community, joy in learning, and depth of thinking. I want to have children who can look their teachers, friends, and friends' parents in the eye, and carry on a meaningful conversation. I want more Waldorf graduates in the world, who think outside the box, look at issues from all angles, have a global perspective of the world, and are inspired to make positive change, and who feel they have to tools to make a difference. I wanted my children to love school, and I knew they could do that at a Waldorf school." For us at Green Meadow, one signal that we are successfully living out our mission is the fact that many of our alumni return here when it is time to choose a school for their own children. 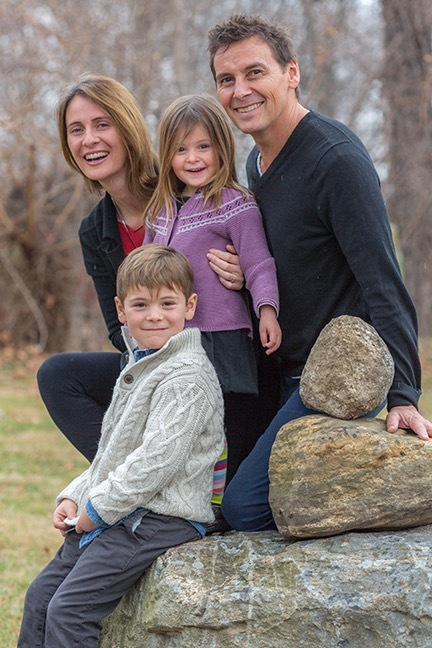 They see the value of the Waldorf Education they received and want to offer the same for their children. Our current first grade, the Class of 2029, tells an even more special story: the teacher of this class that includes so many children of alumni (more on that later) is himself a graduate of Green Meadow. Daniel Bieber graduated from Green Meadow in 2003. After attending Bard College and helping run the family business (The Nature Place Day Camp), among other things, he decided to begin his Waldorf teacher training at Sunbridge Institute. He then served for two years as a Lower School Assistant at GMWS while in his teacher training. Daniel applied last year for the First Grade position and, having gotten to know him as an adult in his role as Classroom Assistant, we were thrilled to offer him this opportunity to take a class at his alma mater. We will be writing in the coming weeks about the many alumni who are now parents in Daniel's class (six GMWS alumni and two alumni from other Waldorf schools), sharing their stories of why they decided to return to GMWS and send their children to the school they attended. Stay tuned. Ken Mankoff started at GMWS in Nursery and left after 9th grade, and graduated from high school in 1993. Read more about Ken. GMWS: Can you say a little bit about where you went to college, what you studied, and what you are doing now? KM: I went to the University of Colorado, Boulder, because Colorado has ~330 days of sun per year and world-class skiing. It turns out they also have a good university and amazing research opportunities. I studied Computer Science, but was hired, at age 18, to work with the first spacecraft designed, built, and flown by students. I spent seven years doing that, which spawned my current career. In early August 2017, I moved to Copenhagen, Denmark. I'm a new Senior Scientist at the Geological Survey of Denmark and Greenland in the Department of Glaciology and Climate. My new job is a bit unclear since I've only just arrived, but in general I will be monitoring the health of Greenland via remote sensing (satellites), and in-situ sensor (weather stations that we install and maintain around the ice sheet). GM: What were the best aspects of your time at Green Meadow? KM: I left 21 years ago. My memory is one large fuzzy positive one. Very fuzzy, but 100% positive, and I do smile when I think of GMWS. I do have some specific snapshot memories (again all positive) such as: playing on the jungle gym with Eric Shurtleff, learning how to read critically from Mr. Wulsin, and sewing and knitting. Maybe the main best aspect was spending a decade growing and developing with one small class. At the time it was normal, but now looking back, the cohesiveness of the group seems unique. The occasional times I do cross paths or email with an old classmate, it is always special. GM: What do you think makes Green Meadow most unique or special? KM: Small class sizes, build-your-own-textbooks, non-traditional experiences like knitting and sewing which I still find useful), extensive woodworking, etc. GM: What advice would you give to a parent or student considering GMWS, especially someone who thinks they might want to study in your field? KM: I like to think that GMWS and the creativity and exploration offered there (that I think may not be offered at traditional public schools) prepared me to be a scientist, but I've met many peers who may be better scientists than I, and went to public school. Have you taken a look at our "Meet Our Alumni" blog series or webpage? You can also read past issues of the Alumni Magazine. We are so proud of our graduates; take some time to see who they are! ES: I attended George Washington University in Washington, DC, where I got my Bachelor of Business Administration degree with a concentration in International Business. My major allowed me to study a number of languages—Spanish, Arabic, and Italian, which is something that I have always enjoyed, while also taking some more standard finance and strategy courses. Since graduating college in 2013, I’ve been living with in DC with my girlfriend and working as a financial analyst for a commercial real estate company. My work enables me to have plenty of time for personal endeavors, like exploring DC’s neighborhoods and the surrounding region, maintaining a part-time commitment to running and exercise, and learning to make excellent homemade pizzas. GM: How did Green Meadow prepare you for college and life? What were the best aspects of your time at Green Meadow? What do you think makes Green Meadow most unique or special? ES: Green Meadow prepared me in a number of ways, but one aspect of my education that tends to reappear at work and in school is critical use of the English language in both speech and writing. Much of the GMWS faculty, not just the English teachers, articulate and synthesize thoughts with uncommon precision and intention. A lot of time is spent on refining communication abilities—of course this comes naturally to some people, but I took it for granted and only realized after some time away from GMWS the immense value of some basic communication skills. What isn’t unique or special about this school? The highlights for me were all the extracurriculars: my exchange semester in Buenos Aires, hosting exchange students all throughout high school, the class plays, the class trips to Hermit Island, ME and Costa Rica, the senior projects, the opportunity to participate in the Helping Hands ‘Midnight Run’. These were all unique opportunities that were both enjoyable to remember and valuable to this day. ES: One of the common objections that I heard when I attended GMWS for high school—the concern that the school is ‘different’, and therefore a risk to attend, because it may limit options after high school. You have to look no further than what current alumni are doing out in the world to see that there is a broad range of post-GMWS lives that can be lived. I’ve heard of, met, and read about (in The Bulletin) former GMWS students working in finance, government, theatre, music, education, fine arts, sports, and law. Lela Mae Jacobs attended GMWS from 6th-9th grade, before her family left for a year-long trip around the world and then settled in England. GM: Can you say a little bit about where you went to college, what you studied, and what you are doing now? Lela Mae: Last month, I graduated from Bath Spa University with a Honors Degree in Textile Design for Fashion and Interiors. I have been very lucky with where I've been able to split my time whilst living in England. The city of Bath is a beautiful old Roman city in the heart of Somerset. The entire city is bursting with creativity, which became highly inspirational for my work in digital and hand embroidery. I am now currently based back in London and am working towards getting as much experience and inspiration from the city as I possibly can, through freelance work and internships to visiting the museums. GM: How did Green Meadow prepare you for college and life? What were the best aspects of your time at Green Meadow? What do you think makes Green Meadow unique or special? LMJ: During my time at Green Meadow, I made lifelong friendships and their support is one aspect that will stay with me forever. Even though we are on different continents, it is wonderful to know that I have friends to call at 4am to bounce design ideas off. The teachers at GMWS took time to explain their lessons and encouraged me to look beyond the classroom, giving me greater understanding of my subject and the world around me. Through the years that I was in Green Meadow, I was taught the importance of presentation and attention to detail. This has become an important aspect of my work, given the field I have chosen. GM: What advice would you give a parent or student considering GMWS, especially someone who thinks they might want to study in your field? LMJ: The realization that I wanted to go into textile design came from my Handwork classes. The teachers recognized this and encouraged me to pursue what I loved. The skills that I learned at a young age have been invaluable in textile design and set me apart from other applicants when I was applying to college. GMWS offers you such a unique and special learning experience, which I have experienced nowhere else. Helpful tip: Pay attention in knitting and especially to those hand-stitching techniques: they're a lifesaver, trust me. Lela Mae with her work at New Designers in Islington in June 2017. A sample of Lela Mae's work. Isaiah started at Green Meadow in Nursery school. He says, "I was at GMWS for 15 years. Only missed out on Parent & Child." Green Meadow: Can you say a little bit about where you go to college and what you are studying? Isaiah Thron: I am studying at SUNY Binghamton University. I am majoring in Electrical Engineering and minoring in Sustainable Engineering. GM: How did Green Meadow prepare you for college? What were the best aspects of your time at Green Meadow? What do you think makes Green Meadow most unique or special? IT: I'm going to answer those questions in reverse order. I feel like Green Meadow truly educates their students. Going to the roots of the word "educate," it means "to draw out." My experience at Green Meadow is that teachers make you really think about the material, come to your own conclusions, and "draw out" the knowledge from yourself. I think this is one of the things that makes Green Meadow unique, along with plenty of other things (only some of which have to do with fairies and gnomes). Green Meadow allowed me to have a rich and joyful childhood, full of imagination and nature. In the Lower School, everything was taught through a story. Even Math, with Prince Addition and Princess Subtraction, was introduced to us in first grade through the medium of a story. That is one way that we had to use our imagination, but also outside of the classroom, with the no media policy. This made us be creative: go outside, be our own superheros, and build castles and grand rivers out of sticks and the hose. Green Meadow created the opportunity for us to connect with nature, bringing us on nature walks and having us play outside no matter the weather, rain or shine, allowing us to build a relationship with the world we live in. The other thing that I love about Green Meadow is the teachers. Lower School through High School, they all care. I have always felt like the teachers were there for me and that they saw me as an individual, not just another student. Now, how did Green Meadow prepare me for college? Honestly, I feel like it's a little bit silly that everything is about getting into the best college, then getting the best job, and so on. As someone who has just finished the first two years of engineering school, I'm not sure anything can really prepare you for college. But Green Meadow did prepare me, in a few ways. I learned how to take in the material and understand the concept. This is very useful for any kind of learning, but it especially helped me in a Chemistry course my first semester (which was both Chem 1 and 2 in one semester). I came to understand the material and was also able to explain it to my friends who were struggling. The material at Green Meadow is expansive enough that everyone can choose different directions to go in their lives, but deep enough that even now in Calculus 3, I am still learning things that we covered in High School (in the upper math group). I've had that experience in many of my general science classes. Green Meadow prepared me for more than just succeeding in college; it prepared me to succeed in life. I graduated with the ability to learn and with at least a little bit of knowledge in many fields. GM: What advice would you give to a parent or student considering GMWS, especially someone who thinks they might want to study STEM? IT: Green Meadow fosters creativity, which is imperative in all subjects but especially, as some might not know, in STEM. In the STEM fields, creativity is needed to come up with solutions and design projects. If you want to learn more about a field that you are interested in, join a club or do outside work that will teach you about the subject. Green Meadow builds you up so you will be able to absorb the material and make it part of you. Also, have fun and don't let the work stress you out! Isaiah in 2015, doing his Senior Project on Modern Dance. Photo courtesy of Dyana van Campen. We post frequently on social media (Instagram, Facebook, and Twitter primarily) and we invite you to follow us to see photos, articles, news, and event announcements that are often not posted elsewhere. 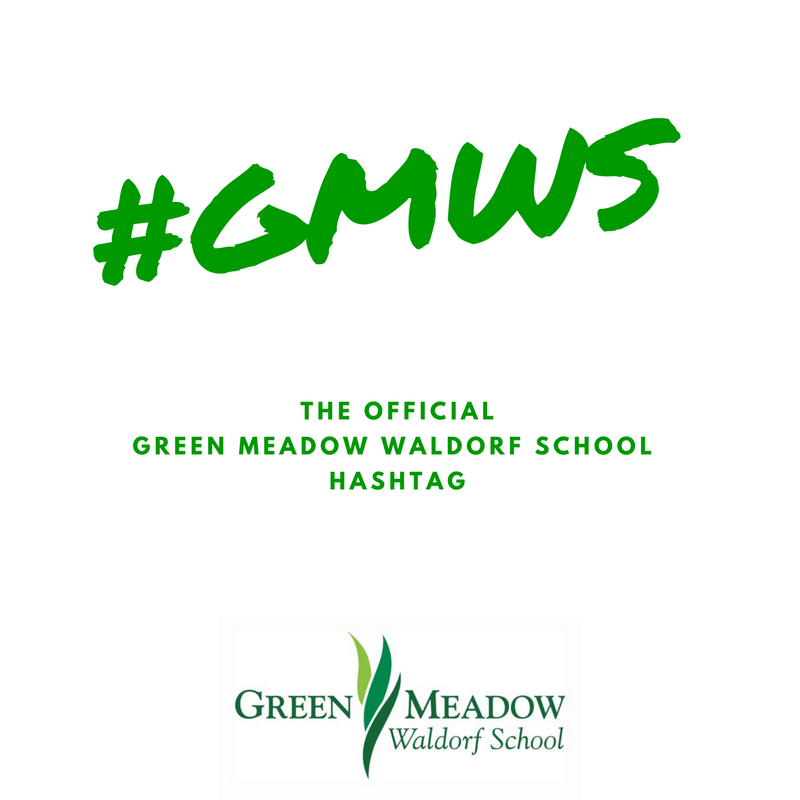 Please also use the hashtag #GMWS when you post photos of any GMWS events. Kellen Quinn '00 recently produced Brimstone & Glory, which will be shown on May 6 and 7, 2017 at the Montclair Film Festival.